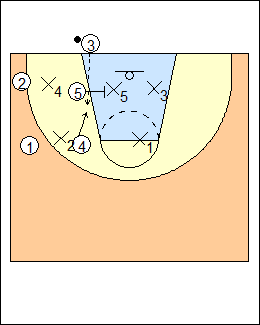 A short-clock baseline inbounds play against a 2-3 zone. 5 and 4 start wide, screen X4 and X2, 2 and 1 use the screens. 5 pin screens X5, 4 slips to a gap for a catch and shoot. 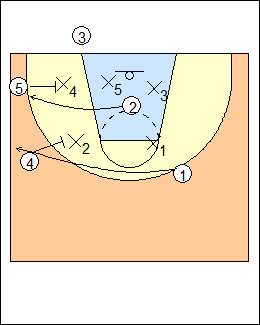 See Inbounds - Baseline Cross-screen.